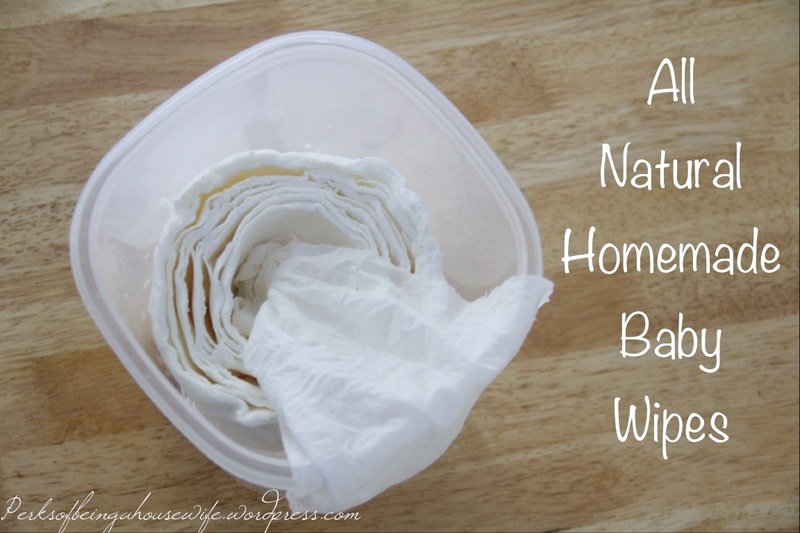 One way that we’ve found to save money and our little one’s skin is by making our own baby wipes. There are so many chemicals and unknown things that go into store-bought baby wipes and they touch our baby’s skin everyday. We’ve found an effective and affordable way to make our own with some more natural products. Mal was the mastermind behind these and have been making her own for most of her 4 kid’s lives. For a shower gift she gave me a container with the “recipe” for your own baby wipes. Here’s how to make them. As seen above, I’ve been using Burt’s Bees baby shampoo and Earth Mama Angel Baby Oil. Both can be found on Amazon or at Target. I’ve ordered the baby oil on Target.com and used my red card to get it shipped free to my house since our Target store doesn’t carry it in house. I am a huge fan of their products and have used their lotion and stretch oil during my pregnancy. I like knowing that I’m not exposing my baby’s skin to harsh chemicals with these natural & organic products. Obviously which shampoos and oil you use will determine how natural the wipes will be. 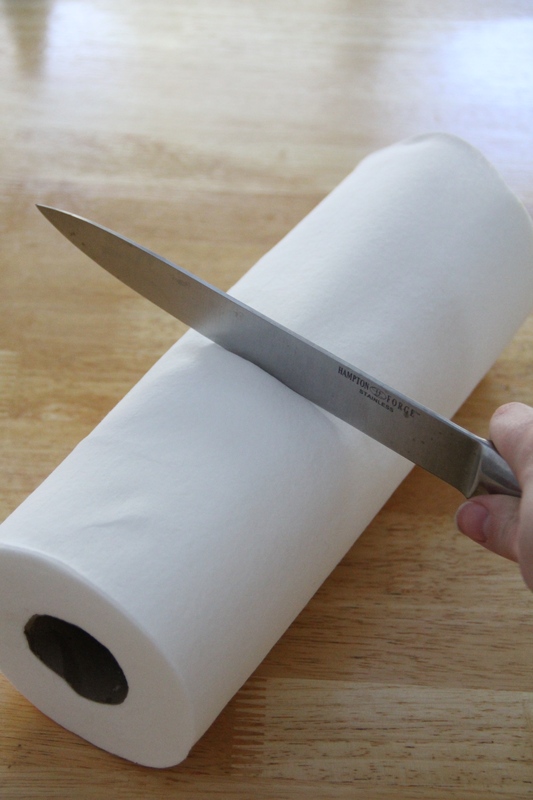 Step 1: Take a sharp knife (not serrated) and cut the roll of paper towel in half. 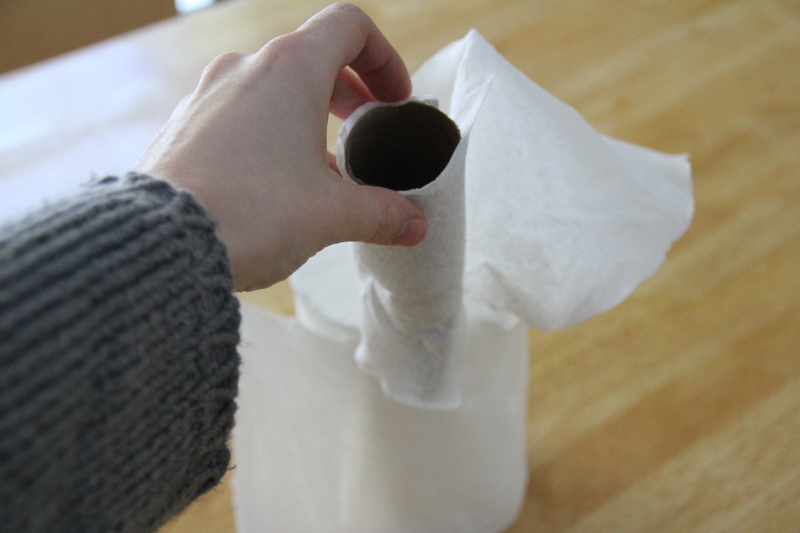 Cheap paper towels rip more easily so it’s best to use a nicer quality paper towel. 2. Remove the cardboard roll in the center. It takes some twisting and wiggling to get it out. You will use the paper towel from the middle once the wipes are made. They stay nice and contained and are easy to grab when you start from the middle of the roll. 3. Mix the warm water, baby shampoo and baby oil. Technique #1 Pour the entire contents into the container and then place both rolls in. Let is soak up from the bottom for about 5 minutes, then flip the container over (make sure lid is on tight) and keep it upside down for another 10-15 minutes. This is Mal’s method. Technique #2 Pour half of the mixture on the bottom of the container and place the rolls in. Now use the remaining half of the mix and pour it over the top of the rolls. I like to squeeze the rolls then to help distribute the liquid to more of the roll. This is Emma’s method. Both work and it’s kind of your preference to which works best for you. Also, know that if they start to dry out after a week or so that you can just add some more water. 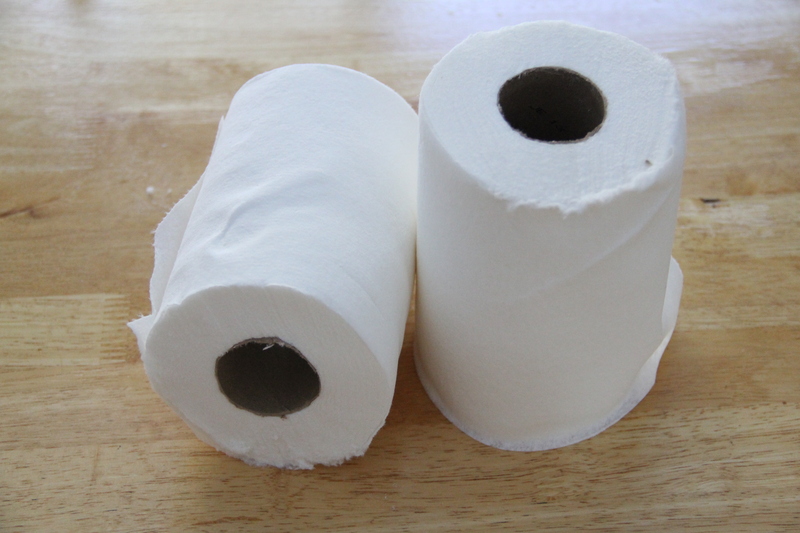 I usually place one roll in the clear container for the nursery and then I use the other roll in an empty wipes container that I keep at my bedside for middle of the night changes. 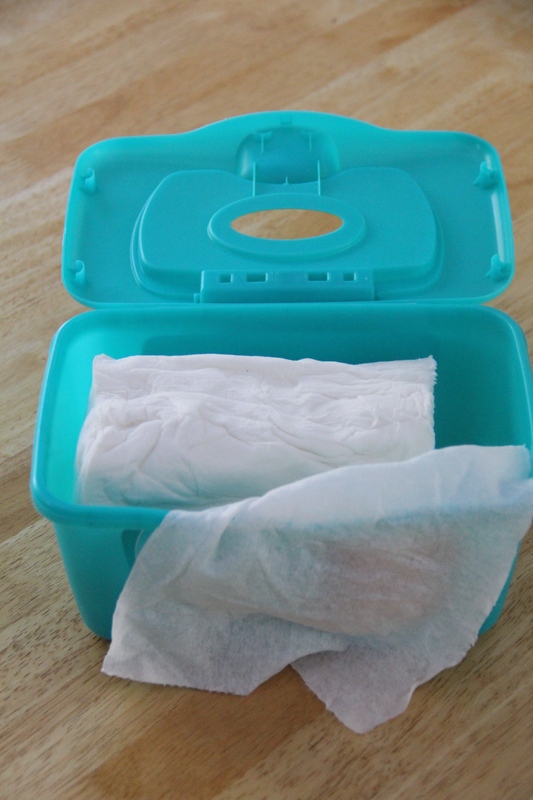 Also when you make your own wipes you will need a travel container for your diaper bag. 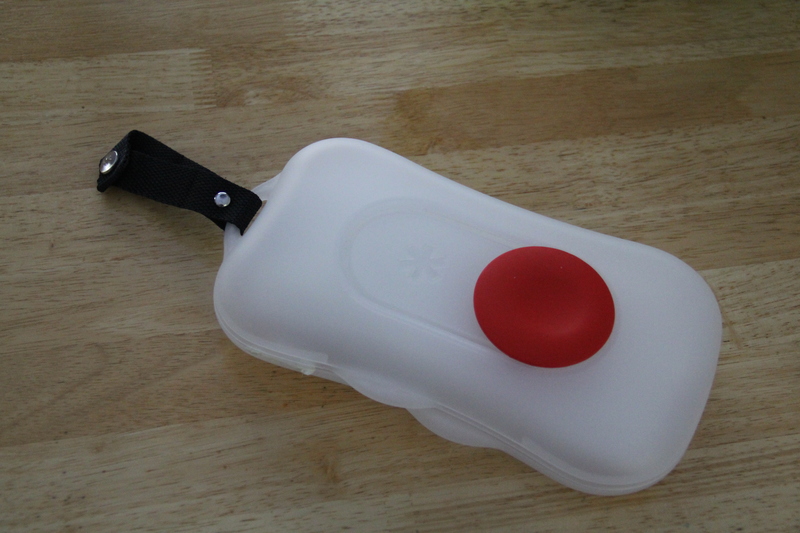 I found this one on amazon.com and have been very pleased with the number of wipes it holds. I just take and rip a bunch of wipes from the roll and fold them in half and stack them into the traveling wipes container. I do believe that taking a few minutes once every other week is worth it for making my own baby wipes. Buying the more “natural” store-bought wipes are more expensive and still contain ingredients that aren’t necessarily natural. Be informed and do a search on the list of ingredients in the leading brand’s wipes. 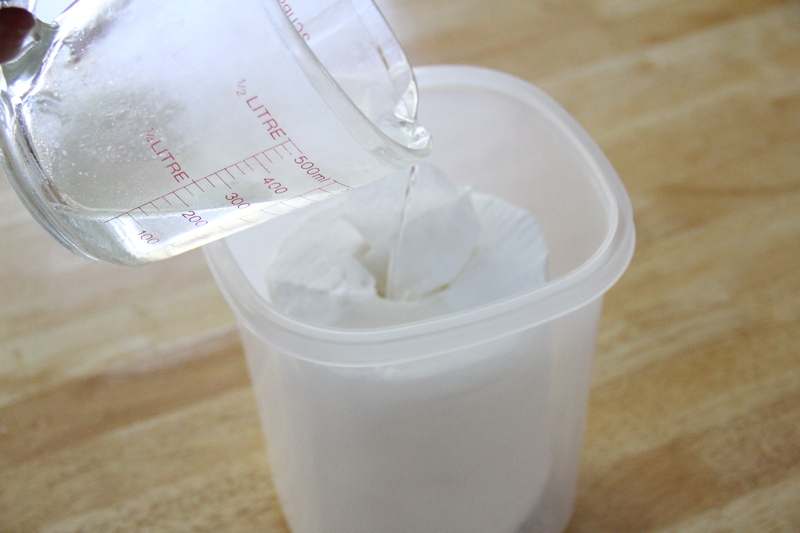 Making your own wipes are not only cost effective, but I know what is going on Little Mister’s skin. 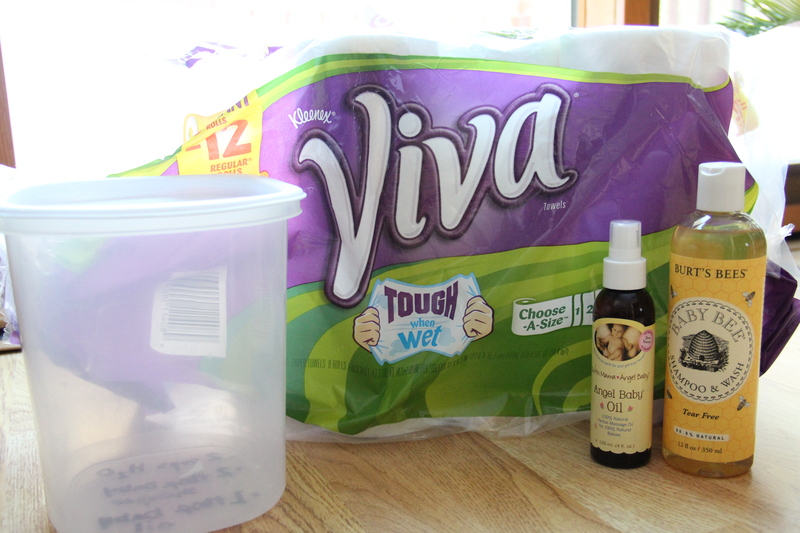 Let us know if you find any other great products or brands you use to make your own wipes by commenting below.